The brief was to design a pair of kitchen tongs for use with non-stick cookware. Non-stick surfaces have become standard on so much cookware and require a delicate touch so as not to scratch the synthetic coating. And it seems the majority of non-stick friendly utensils are also made from synthetic materials. 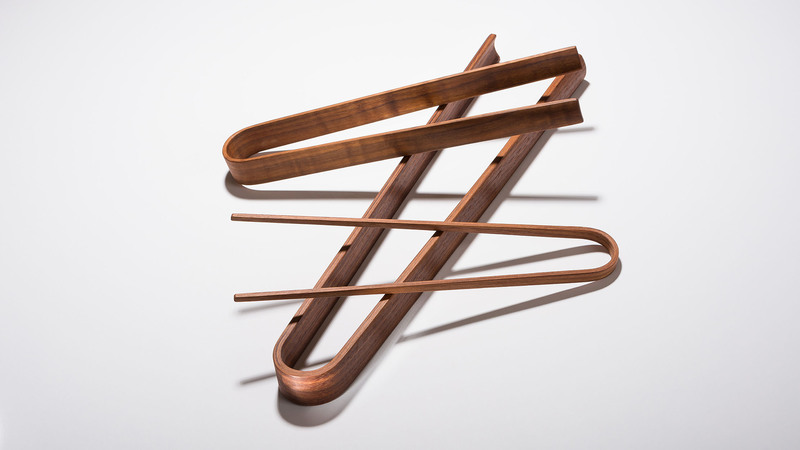 As an environmentalist I wanted to use natural, renewable materials, I decided to make the tongs from wood, a material with a long history of use in homewares. I developed an idea based on a laminated U. Once I started the prototyping I soon discovered that a thin pair of the tongs could be used as chopsticks for beginners. This soon became the driving force of the project. 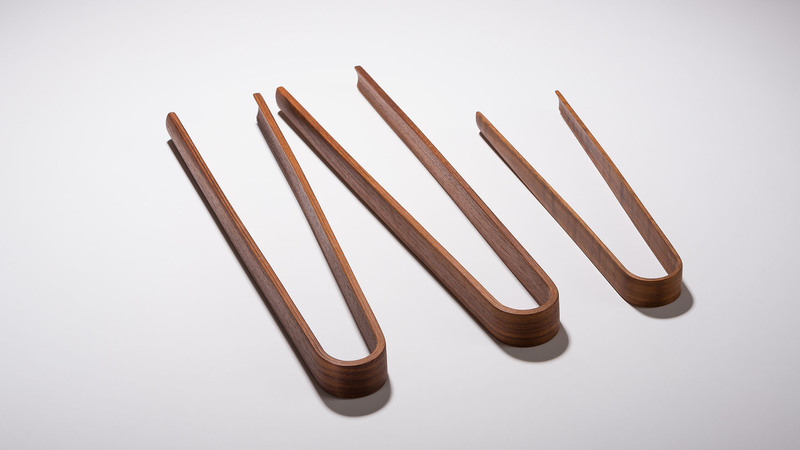 I finalised the tongs design quite quickly, but the chopstick took much longer to finalise. I had to make sure they were also suitable for the young, old and disabled. As with so many of my ideas this projects, Wu Tong is made from off cuts. There are always waste materials from any industrial products and the woodshop is no different. With this in mind I am always conscious of potential uses for the off cuts. I also have a desire to cut down the use of plastics and replace them with natural materials whenever possible. Once I had my sketches and evaluation of existing products done, I started the prototyping the idea with the ‘waste’ material from around the workshop. It is worth pointing out that wood has naturally anti-bacterial properties. 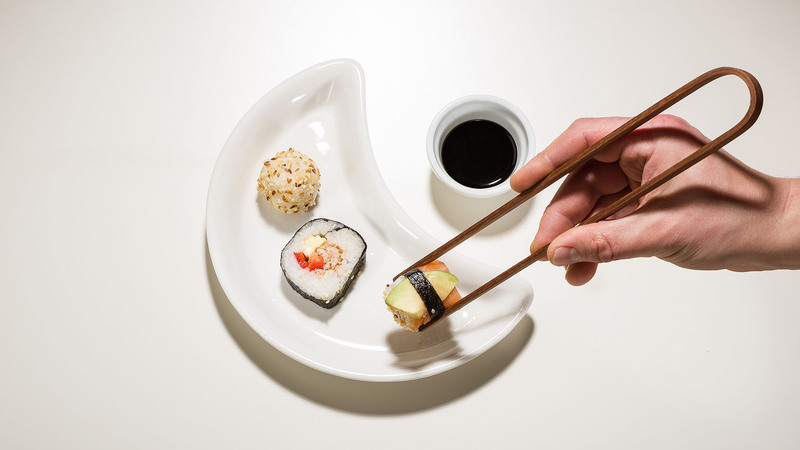 I developed the cooking/serving tongs first and used these tests to further develop the chopstick part of the idea. Once I had some prototypes to test it was easy to see that I had to introduce another curve on the end of the lamination for strength. I settled on a standard form for a long and short pair of tongs but also produced then with variable resistances for different hand strengths. Once the tongs were in production I used the failures and the off-cuts to develop the chopsticks. Initially I made a vast amount of different versions, I then took these out to be tested, by the young, old and the disabled. This took quite some time as there is so much variation in user needs. So again there is a standard chopstick model, but also stronger / weaker models to suite different people. As the range is made by hand I can easily produce the range without retooling. I always encourage people to try several models before they make their choice. As a side note. I have discovered that chopstick are ideal for eating salads. At a Christmas Market in Gothenburg a little old lady came up to me to check out the chopsticks, and before she knew what they were, she said ‘ah, tweezers for getting the toast out of the toaster, so there is always room for re-design. Now that I have had tongs in use at home for sometime, I have discovered that they age quite nicely, especially when the get burned, a form of Wabi Sabi. Chopstick training; always teach the Wu Tong.